AIREBOROUGH extended their impressive start to the new season with a well-deserved win in at Chaffers Field. The visitors were quickest out of the blocks and scored two early tries through Jonny Mackey and Bill Child, with fly-half Ryan Sample converting the second score. Otliensians came back with Sam Featherstone gaining good line-out ball but play was disjointed with numerous errors. Aireborough's defensive play was solid and one tackle to keep out Olly Eaves was particularly impressive. After 36 minutes Michael Groves had a superb run after collecting the ball from a line-out and this spurred Otliensians on. From a line-out just inside the Aireborough half the ball was moved out to wingman Connor Bateman. From 40 metres out he outpaced the defence and bamboozled the full back to score the try of the match between the posts. Luke Cowdell's conversion reduced the deficit to 12-7 at the break. Following the break, Otliensians laid siege to the Aireborough line but resolute defence and Lady Luck kept them at bay. The second half was a stop-start affair as the ferocious tackling from both sides took its toll and, as expected in a local derby, occasional ‘handbags’ broke out as frustrations and tempers boiled over. 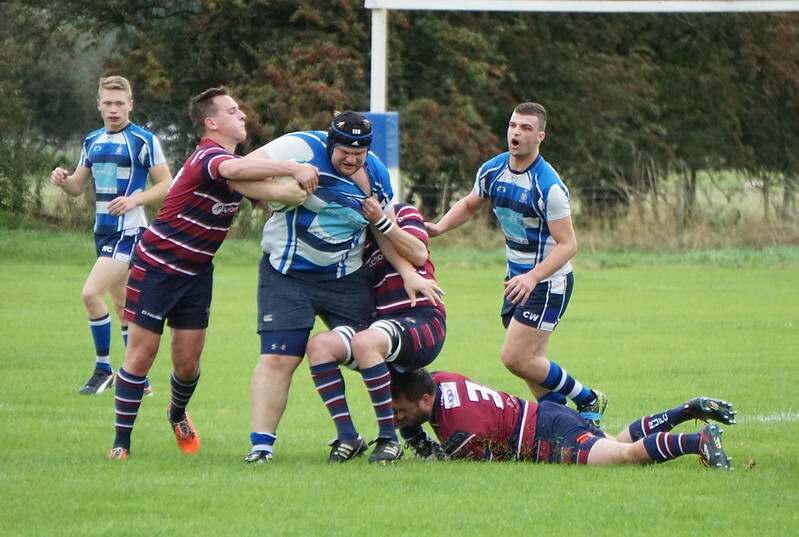 Aireborough adapted better than their hosts to the fractured second half and James Patterson and Stu Wilson scored two late unconverted tries to seal their fourth consecutive victory and keep Aire top of the table. A rash of injuries did not help Otliensians with five players having to leave the field in a 15-minute spell. Otliensians were going backwards in the scrums and Aireborough were on the front foot. Otliensians had to play the last six minutes with 14 men as they had used all their replacements.